We lost this race a year ago by half a stroke. 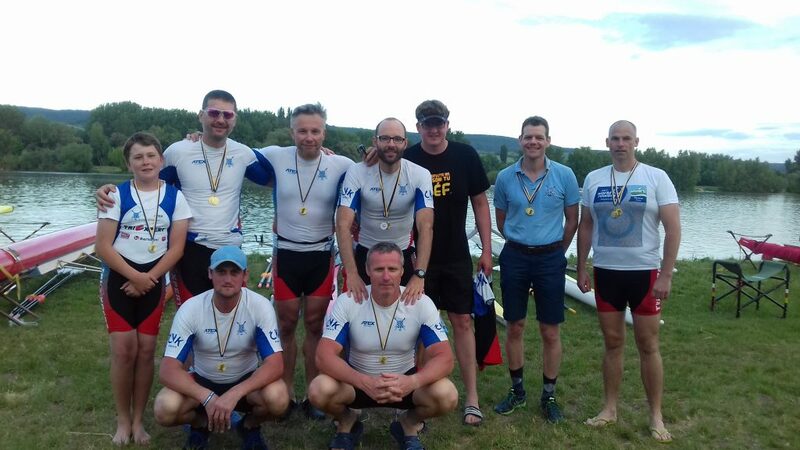 It’s the local Piestany team’s specialty and they were very very certain that they would win. Every time I met one of them on Saturday, I was greeted with an evil smile and a “See you tomorrow at 9 AM”. They had done most of their trainings as a mixed quad. This is a 500m sprint. Short. Painful. We decided to put our club’s 2 mixed double crews behind each other, with me on stroke and Romana on 3, “Krocan” on 2 and “Spaca” on bow. Rowing up to the start was OK. Practice starts were good enough. 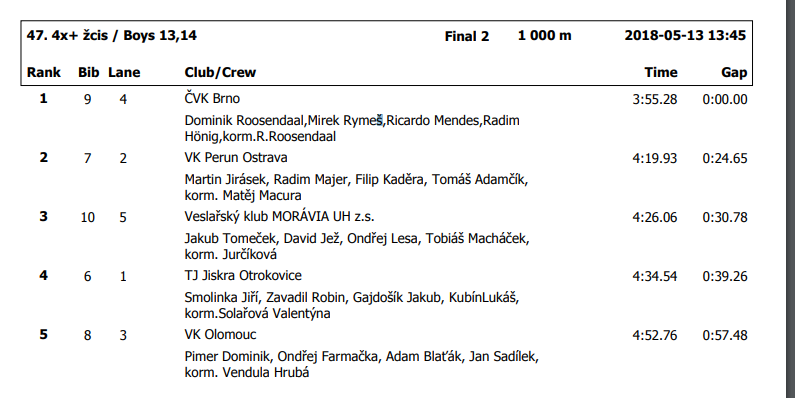 We lined up in our lane 2, slightly behind Piestany because of the diagonal start line. 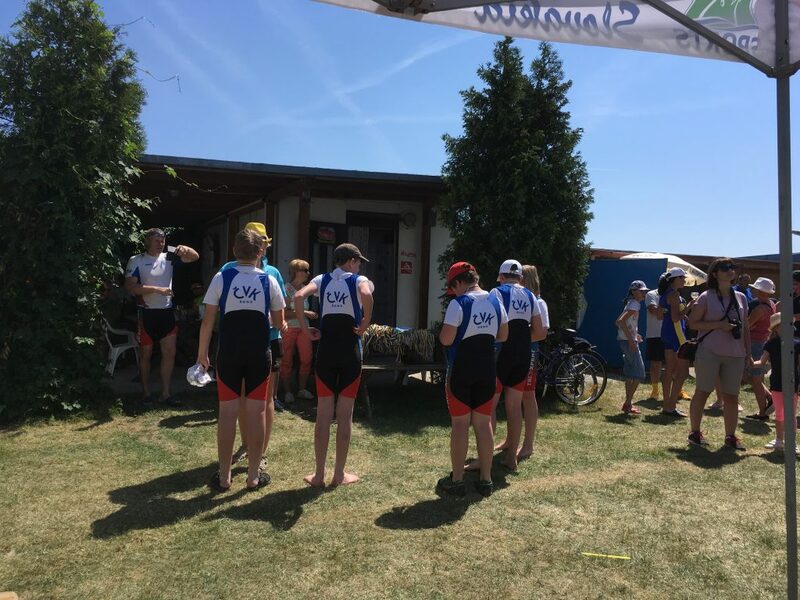 We were out of the starting blocks pretty good and within 5 strokes it was clear that it would be a race between Piestany and us. The two other crews were too far behind to catch up. We rated 45 spm for the first 10 strokes. Then I lowered a bit to 40spm. We were one man up, i.e. I was rowing next to their 3 seat. Enough to control and my plan was to switch to controlled rowing and leave some energy for the final 100m. With 300m to go, Krocan shouted “GO!” and started to rate up. Correct. Not the stroke man, the author of this blog, but the 2 seated. Suddenly stroke seat was late at the catch. What the … ? The effect was immediately visible. We slowed down. Piestany started to move on us. It was only a few centimeters per stroke but it was going in the wrong direction. All the ugly, uncoordinated rowing going on in my crew was sapping me of strength and we were basically defenseless. The bank was cheering for the locals. We lost the race on the finish line. I was very emotional, disappointed, angry, etc, and I confess that my first reaction was to turn around and telling “Krocan” that if he would like to stroke, he should have raised his hand when we were discussing the crew line-up. I used some pretty bad wording, which I won’t repeat. I was even considering leaving the boat immediately, swim to the bank and let them return with three rowers. But, the last 1% of reasonableness that was left in me convinced me that that was a very bad idea. We paddled back, and listened to the speaker announce our win. Yep, our win. Apparently we had beaten the locals by 0.25 seconds. I guess I was fooled by the diagonal finish line. Here are my thoughts on this, and I mean it. Apparently I have become pretty intolerant to bad sculling, to the point where I am rude at other people, where I perhaps should have politely declined to race this race. On the other hand, I didn’t want to spoil the party, and we’re also looking to make sure that all people in our Masters group have some races to race. So, as usual when I am frustrated, I have just myself to blame for some bad communication, expectations setting, and commitments made. I may learn this one day. I wasn’t too worried, by the way. The strongest of my opponents was Antonin (“Tonda”) Pribil from Breclav, and he hasn’t beaten me yet. 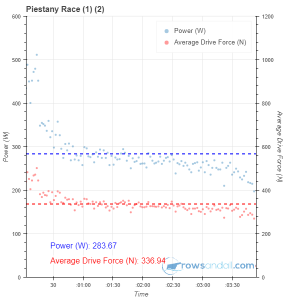 So I rowed up to the start, and did a few practice starts and 10 stroke intervals at what I had decided to be my race target: 320 Watt on the power meter (which had been re-calibrated after NK discovered a software bug and is now showing 10% lower numbers than I am used to). Tonda was in the lane next to me and slightly ahead at the start. 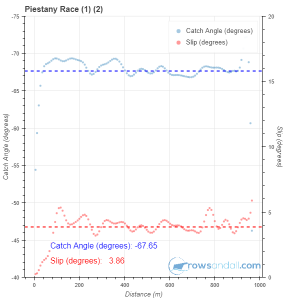 Did I mention the diagonal starting line? He had a really good start and trying to remain next to him cost me an initial ten strokes at 400W and higher. 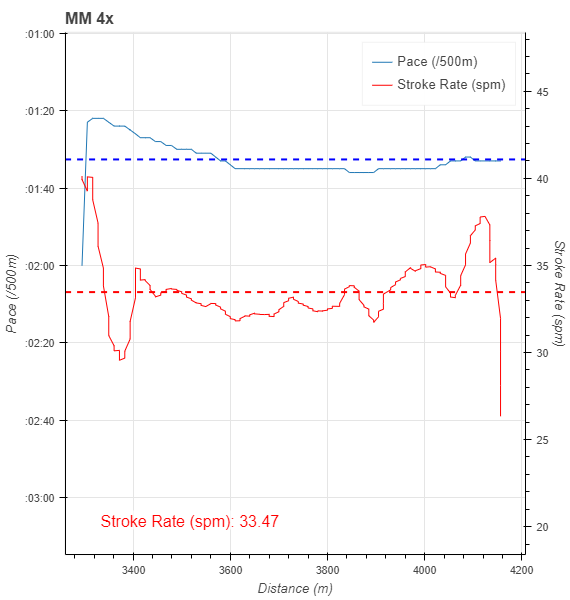 See the chart (and I don’t know what the Heart Rate sensor was thinking, but it clearly underreported my heart rate). Pretty explosive, and what did I get? Tonda was still in front of me. So now it was time for me to stick to the race plan. 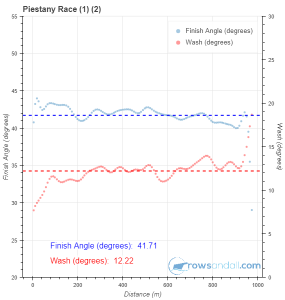 I dialed back to 320W (you can see that transition pretty clearly in the Watts part of the chart above). I knew Tonda is a bit of a Duracell Bunny, so I was hoping that he would fade sooner or later. I hoped for sooner. The problem was that in the cross/headwind I had trouble even holding 320W. At 500m to go, Tonda was still ahead of me (a bit less than a length), and I was struggling to hold 320W. It may have been empty legs from the quad race. It may have had something to do with my upcoming cold. I was seeing numbers slightly below 300W. The good news, though, was that Tonda was “stiffening” (as they say in Czech). He was experiencing the very unpleasant effects of a lactate rush and he was fading, like the bunnies in the Duracell commercials. 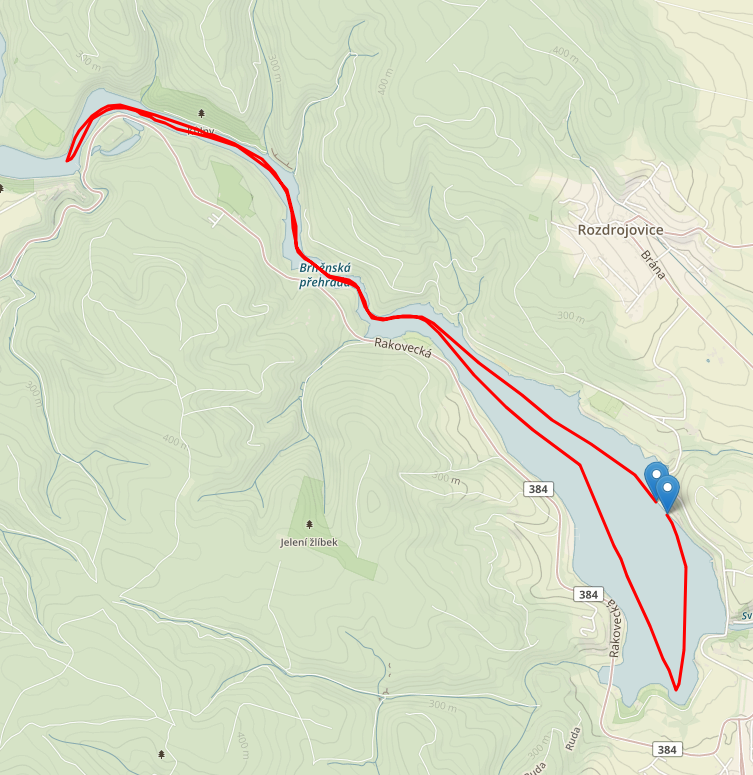 It also helped that the head/crosswind was a bit stronger there and there were some ripples on the water. 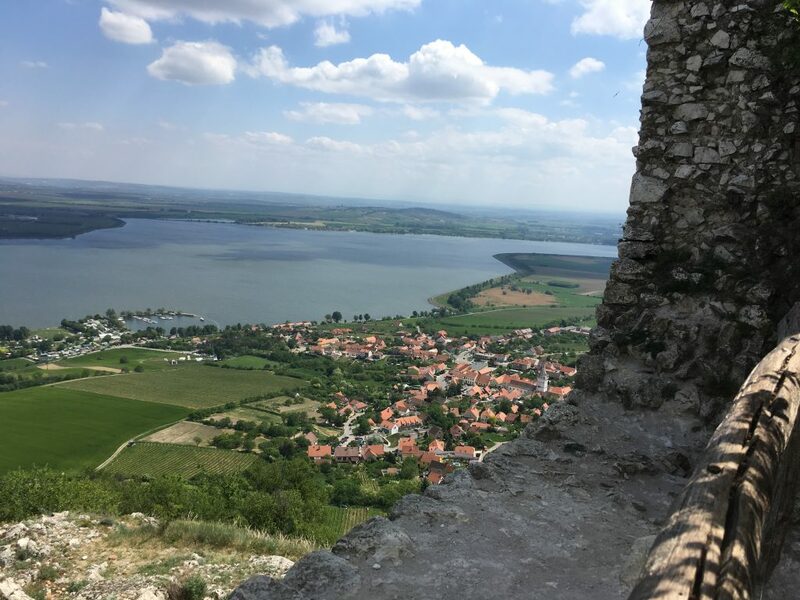 Normally that would be an advantage for a big guy like Tonda, but his problem is that he rows in Breclav on a very shielded river, where they have mirror flat water. After the race, he was talking about “the chop”. He should come and train in Brno. Slowly, but surely, I pulled him in. Then I pulled away from him. The power numbers were not near to where I wanted them to be, but I just kept going. Luckily for me, Tonda was broken, and I managed to create enough light between him and me to row the final 200m in a very comfortable lead. In the Masters A/B race, our club president Tomas came second in a close finish, in a time that was a second faster than mine. I know he is 32, but it still hurt. So four wins out of four. Still, I am not happy. I still picked up my medals and made a picture of my son’s coxed quad picking up theirs. Apart from power, the other metrics look okay, I think. After all the excitement, we spent a bit over an hour loading the trailer, and then we drove home in a little over two hours. We were home by six pm. Today, on Monday, I woke up feeling very tired and almost unable to speak. I am taking an extra rest day today. An early start in order to be in time for the Club Representatives meeting. Free coffee and entertaining listening to the “horse trading” of incomplete crews. Then it was time for the long wait. My first race was scheduled for 15:45. In the mean time, my sons did some good work. In the end, there was no rain at all, because the thunderstorm passed just east of us, but it looked pretty scary for a while. And we were busy cleaning up tents and securing boats. At 3:30 it was announced that the program would continue with all races shifted by exactly one hour. Then it was time for our Quad race. 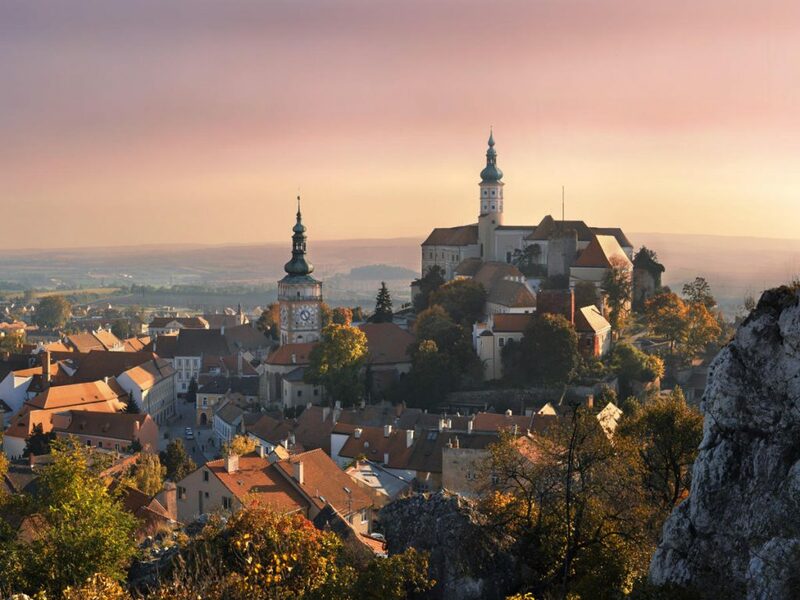 We were up against the locals from Slnava Piestany and our friends from Hodonin. 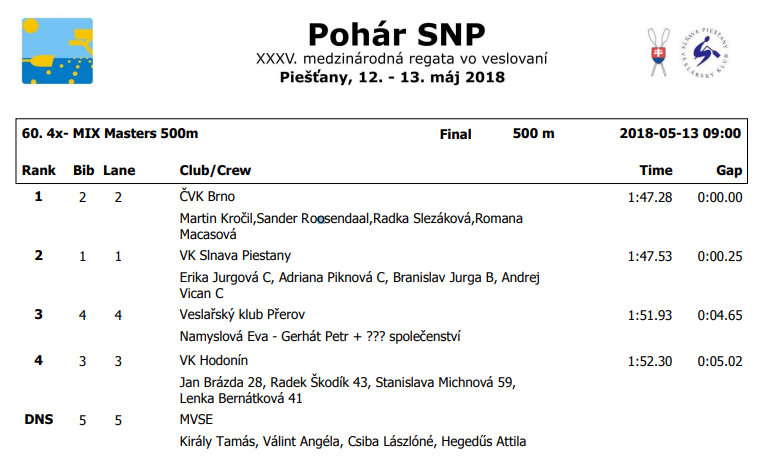 Hodonin had quite big age differences in their crew (28 to 61) but Piestany could be dangerous. Our strategy was to row as low stroke rate as possible and we succeeded. 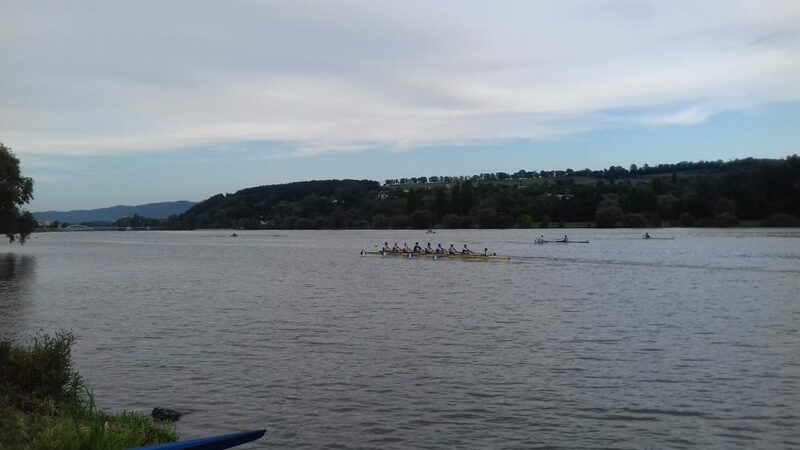 In lane 3, we started slightly behind the Piestany crew, but in the first 5 strokes we managed to come level and then pull out to a small lead of about half a length. 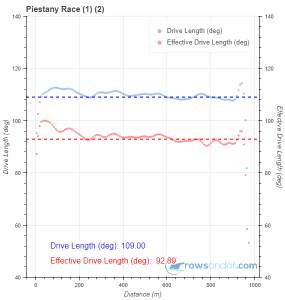 I lowered the stroke rate but not as drastically as the chart below suggests. I was using BoatCoach on the Android phone because it was easier to attach the phone to this boat which was missing a NK holder. Apart from slightly wiggly steering from my part, the first half of the race was without incidents. Around the 500m mark, we started to slowly row away from Piestany. I think we were gaining about 10 to 15 cm per stroke but we were moving. I think I was level with their bow man (I was on stroke seat) and there were less than 200 meters to go when I heard their call for a final sprint. I waited for one stroke, then called for our response. We rated up a bit and that secured our win. The first win of the season! Then it was time for our Masters eight, the crew that doesn’t practice. We rowed in a borrowed boat and there were some issues with the coxbox. While we were trying to fix them, Dominik’s single scull race was passing the finish line (his third 1k race of the day). 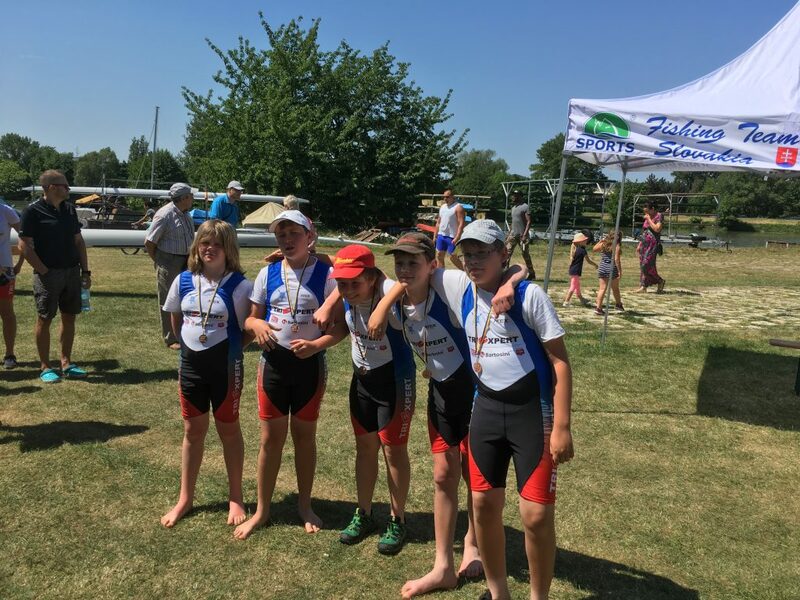 For the Under 14 year categories, the organization was giving out bronze, silver and gold medals. So Dominik secured another medal. The race in the eight was great. 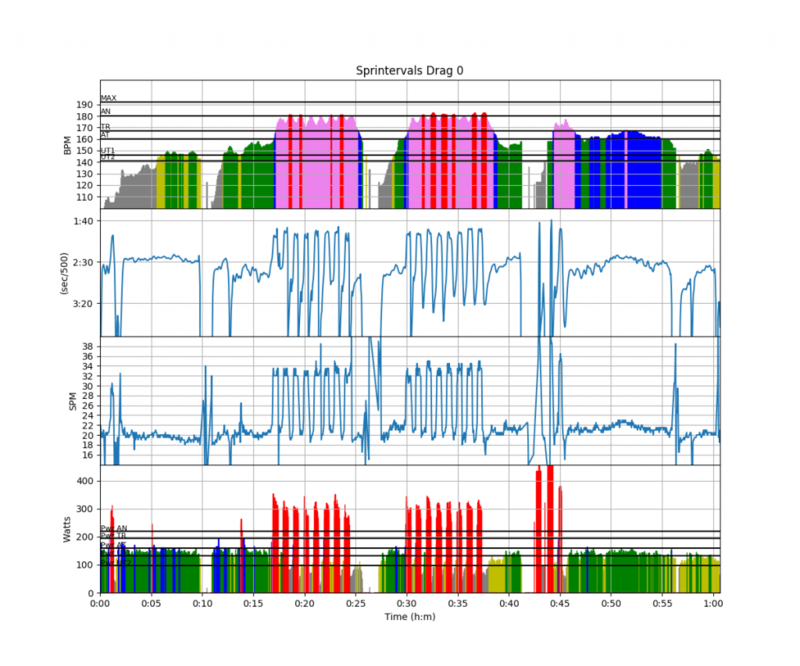 We were quite nervous about the capabilities of SVK Bratislava, but it turned out we could perfectly control them. Our crew has a higher average age, but we were rowing “compact”. I love rowing in the eight. Sweep rowing is simple, and at 2 seat all I have to do is keep an eye on the stroke’s blade and watch my own technique. As the eight is light and fast, I visualize my hands moving along a rectangular box very quickly. This helps me putting the right accents on the catches and finishes, which are a little bit more “solid” than in the single. 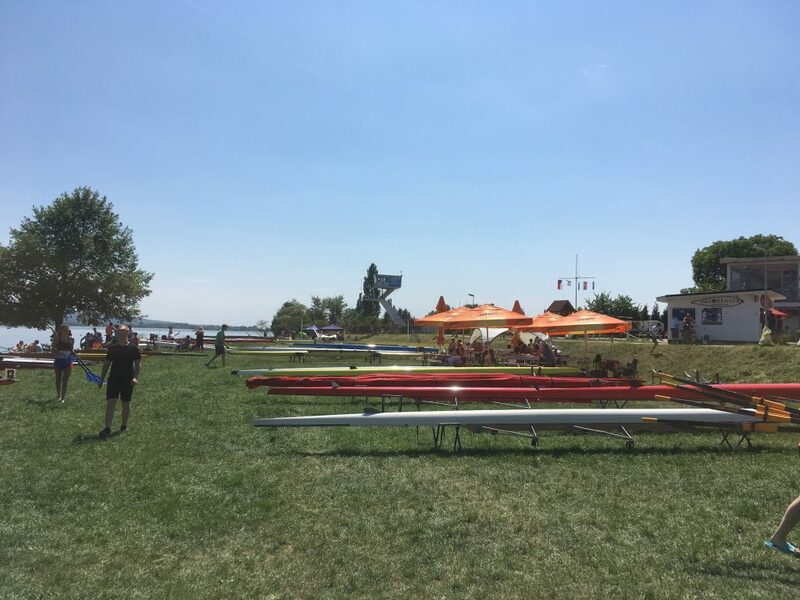 We didn’t win by a big margin and we did have to rate up a bit by the end to match Bratislava’s offensive, but with 10 strokes to go I knew we were going to win, so I even had time to enjoy listening to the regatta speaker announcing our names as we stormed towards the finish line. The boy on the left is called Vit. We were a bit nervous of taking him as a cox, because he had never coxed an eight. But in the end he did a great job, and he was very enthusiastic after the race, telling all his friends how cool it is to steer such a long and fast boat. Romana won the women’s Masters quad and came second in the women’s Masters double. 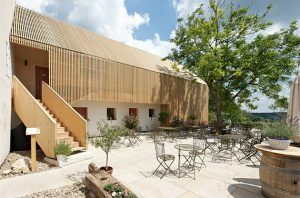 It was a bit too hectic to blog, so here is a summary. 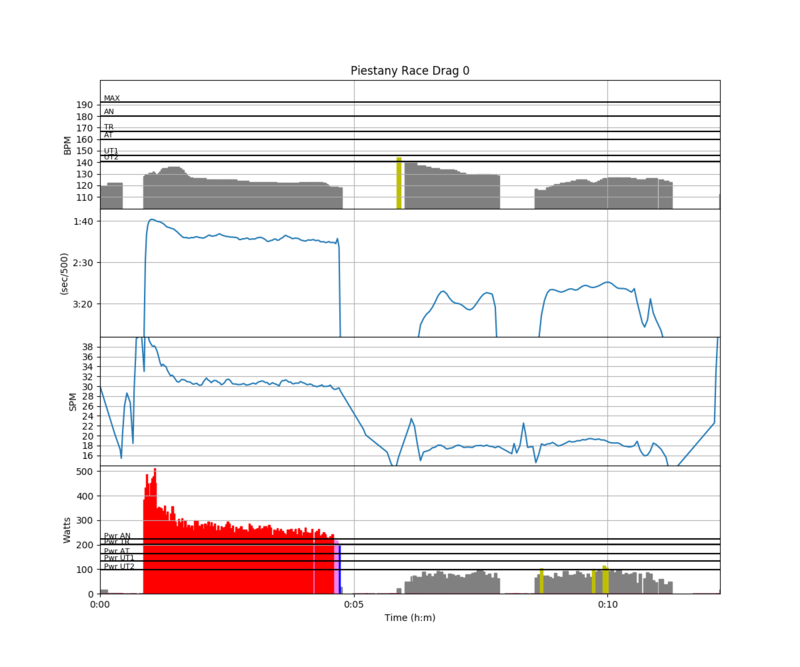 The plan called for 2x(8×40″/20″)/5min, at 32-34 strokes per minute. I eased that up a bit by shortening the interval length by 10 seconds and increasing the rest by 10 seconds. So 30″ on, 30″ off. I did that hoping that it would enable to focus on the quality of the workout. I rowed this with our club president (who is a Masters A category rower, 32 years old) as a sparring partner. It was pretty exhausting but fun to do. At the end, we also did a few test starts. Rowed 11km in total. Tuesday was a holiday. 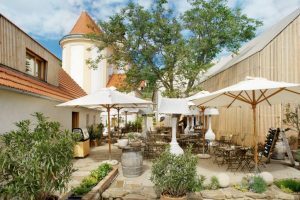 We bought a one day ticket for all buses and trains in the region and traveled to Dolni Vestonice, hiked up to the castle, and then along the Palava Hills to Klentnice, where we had lunch at a beautifully restored vicarage turned restaurant. Then we took the bus home. A busy day at work, and when I arrived at the club, the trailer loading activity was in full swing. I figured it would be better to load my single now, when there were still people around to help, rather than doing it solo after a training. The eight training had been canceled for lack of eight rowers. I wonder if some of them knew there was a trailer to be loaded. After the trailer loading I drove home where I did a short strength workout (mainly body weight). A row in the double with Romana. We rowed steady state up to the castle. This was the first time this year the double felt “heavy”. We did some technique exercises and that lightened up the stroke a bit. Something must have been slightly wrong with the timing. I completely forgot to wear a heart rate sensor. Another 12k of steady state in the bank. No training. 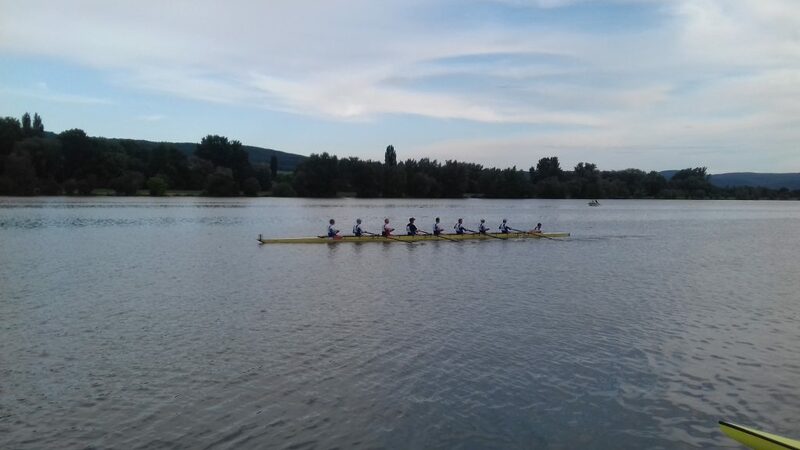 On Friday evening, we drove to Piestany for the upcoming weekend’s racing.